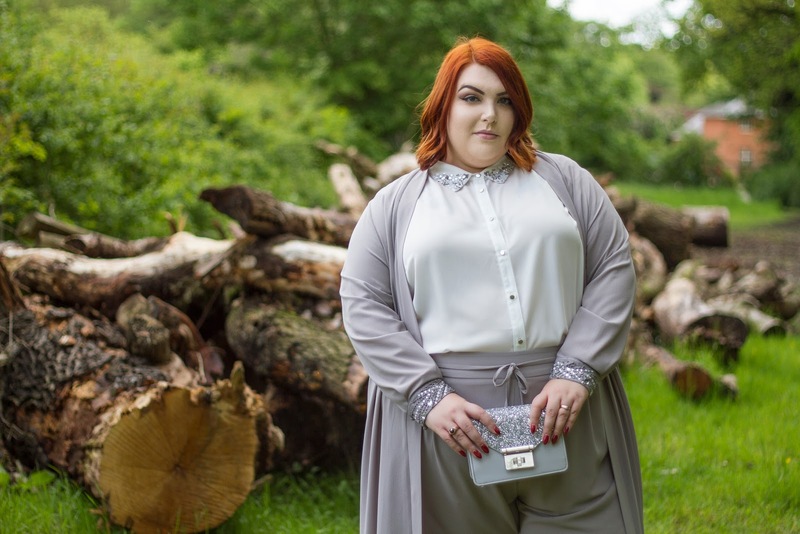 SILVER LINING // PLUS SIZE WEDDING GUEST OUTFITS PART 1 - Sugar, Darling? My darlings wedding season is upon us and that means lots of smooches, lots of bubbly, lots of reception selfies and a lot of need for a banging outfit or two! To celebrate this lovely time of year I've put together a special little three part series showcasing three gorgeous wedding ready looks, each one very different but equally as gorgeous! 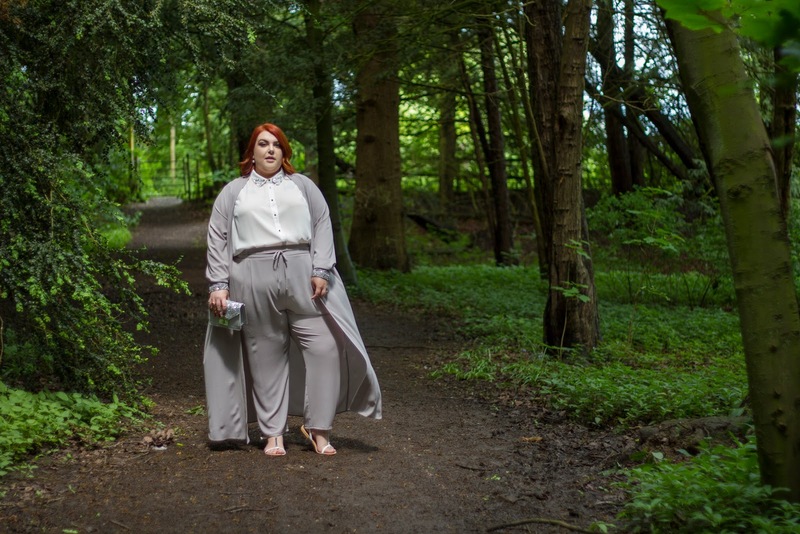 The first look I'm sharing with you has to be my favourite not only because its different to what I personally would usually pick but also because I love that it breaks down the expectation that at a wedding women should all stick to a super feminine aesthetic. While this outfit is undoubtedly very chic I love that it uses the traditionally masculine shapes of trousers and a collared shirt, but recreated in nontraditional fabrics and with the fabulous addition of some sparkling embellishments. I know I'm not the only one to have noticed that Evans have really upped their game this season with gorgeous on trend styles and some really unique pieces, exemplified in this maxi cover up and trousers set. 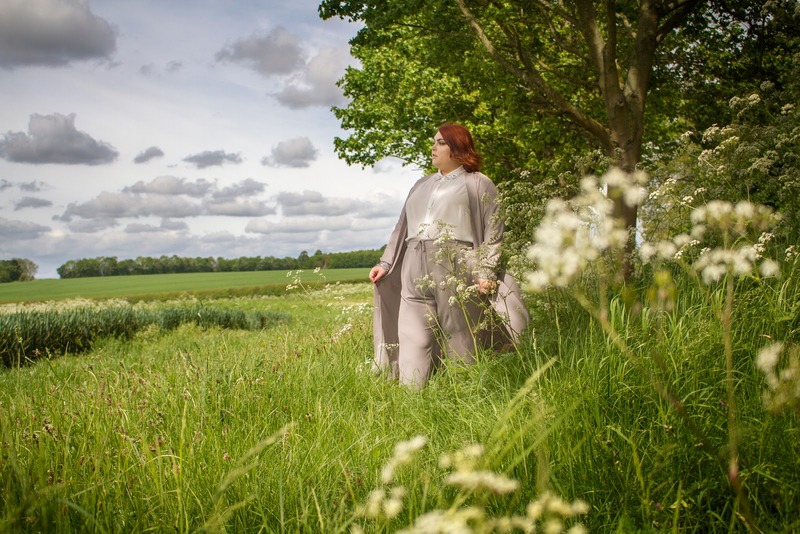 The Grey Embellished Maxi Cover Up (£60.00*) was what originally caught my eye - the full length is just so dramatic and contrasts wonderfully with the delicate dove grey crepe style fabric and those crystal and bead encrusted cuffs take it to a whole other level of stunning. 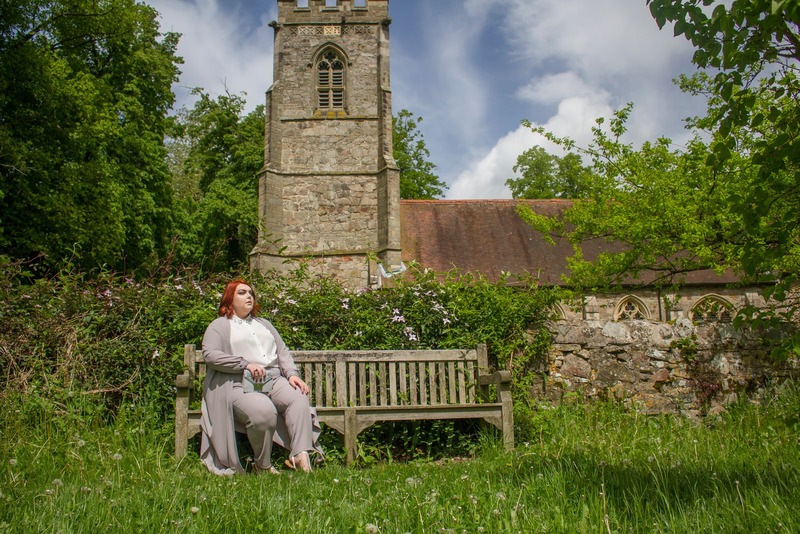 To match this stunning statement piece is the Grey Tie Front Tapered Trousers (£28.00*) that are so light and comfortable, just the thing for a long day of celebrating (hopefully) in the bright sunshine. Be warned however that these do run a little small in my opinion so sizing up once or twice depending on hip size is highly recommended. 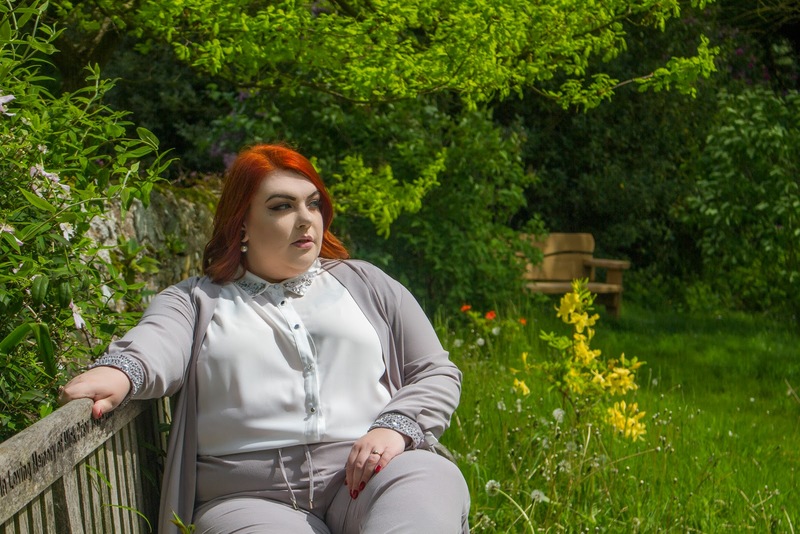 To complement this gorgeous combination something simple was required and an ivory blouse was the obvious choice, but of course when I saw the silver and pearl detailing to the collar of this Ivory Embellished Shirt (£40.00*) it was love at first sight. Again the fabric of this piece is delightfully soft and cool and hangs beautifully. 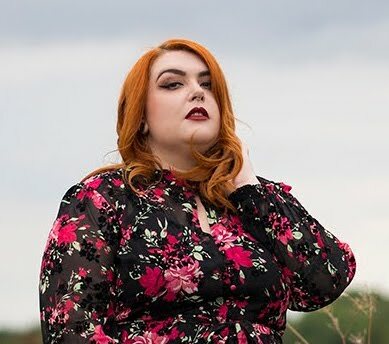 It's a traditional blouse style so doesn't have a nipped in waist or darted bust which in my opinion makes it infinitely easier to wear and much better for tucking into trousers or skirts to show off your hips and booty! There are some lovely little extra details like the mirrored silver buttons and little vents to the cuffs which make them far more comfortable. it really is a fabulous shirt. 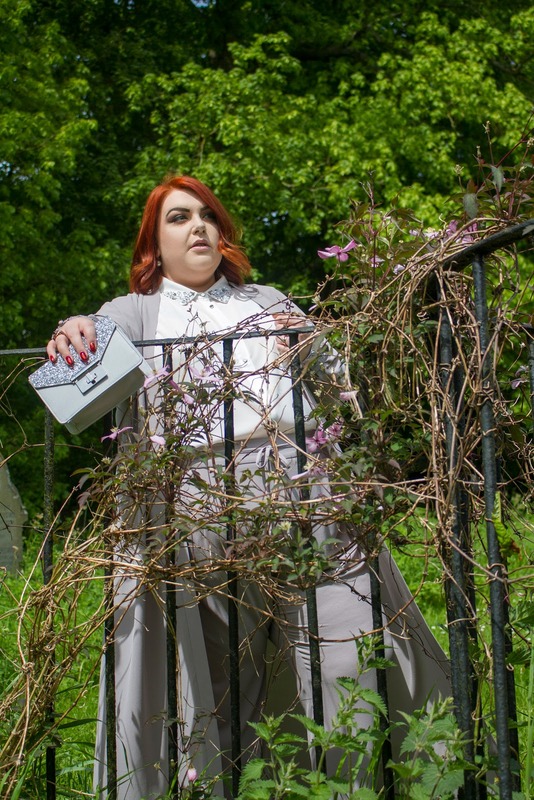 I finished off my outfit with some simple white and silver sandals (similar to these) and obviously couldn't resist another bit of sparkle with this sweet little F&F Glitter Boxy Cross-Body Bag (£12.00) that I spotted in Tesco last weekend when I was running errands. Don't you think its the most adorable finishing touch?